International research found that exercise can protect people against depression, regardless of age and geographical region. As a coach, it is important that you take time to look after your own mental health. This blog from UK Coaching explores how psychological and emotional states can influence your coaching. 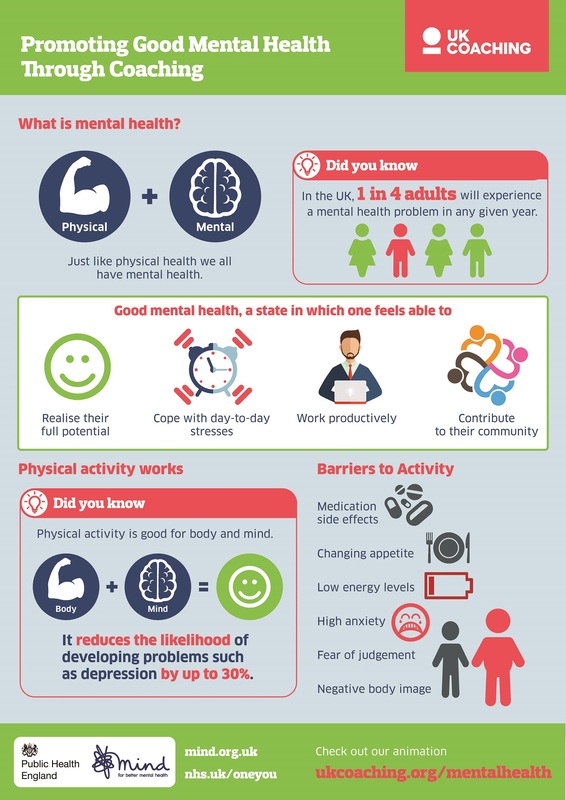 Working in partnership with Mind, the UK’s leading mental health charity and with support from Public Health England (PHE) this UK Coaching infographic helps you better understand what mental health is and the barriers faced by those living with or recovering from a mental health problem. 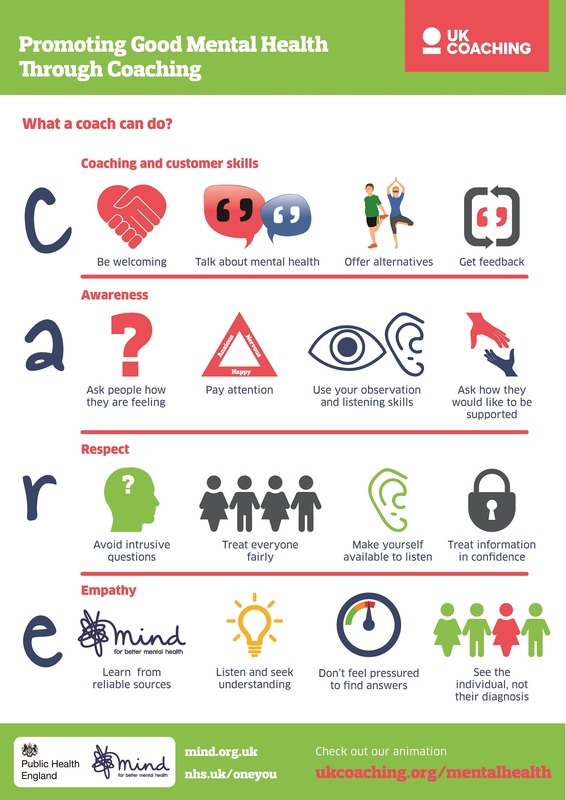 Working in partnership with Mind, the UK’s leading mental health charity and with support from Public Health England (PHE) this second UK Coaching mental health infographic uses the CARE acronym to help you promote good mental health through your coaching. This toolkit has been developed to help you make your services more accessible to people with mental health problems. It shares learning and best practice from other organisations, and uses real examples and tested resources.